The quaint town of Eugene, Oregon, is known for many things. 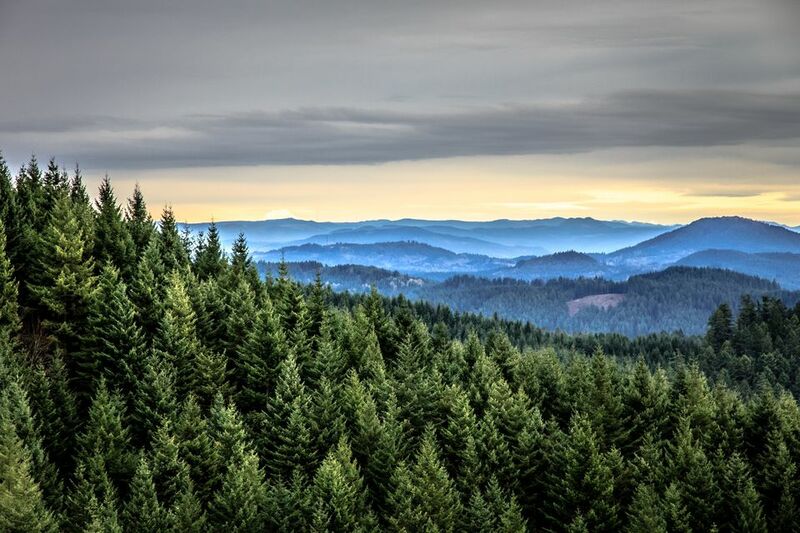 Located at the south end of Oregon's Willamette Valley, the city's close to a fertile wine-grape-growing region famous for pinot noir and pinot gris and was also known as a counterculture haven in the 1960s and 1970s. Eugene is also known as "Track Town USA" and the "Track and Field Capital of the World," frequently hosting world-class events and competitions. Visitors will find a wonderful bounty of outdoor spaces with wildlife, gardens, and scenery. Boundless fun awaits in Eugene; here are 10 top options. There are a number of ways to experience the award-winning wines produced in the Eugene area. You can drive from winery to winery, visiting tasting rooms and spending time taking in vineyard, garden, and valley views. Or you can visit one of several tasting rooms located within the city. King Estate Winery, perched atop a hill surrounded by vineyards, is an extensive and welcoming facility. Sample wines in their tasting room and then take a guided tour of its wine production operations. Weather permitting, enjoy a meal on the King Estate restaurant's outdoor patio space, where you can savor a charming valley view. This acclaimed restaurant, which has both indoor and outdoor seating, serves lunch and dinner and is open year-round. You can also visit the tasting room at Sweet Cheeks Winery in a relocated historic building placed near its estate vineyard. It has an elegant indoor tasting room as well as outdoor patio space. In addition to daily tasting hours, Sweet Cheeks offers Friday evening tastings and special events throughout the year. Visitors to Eugene will find many wonderful outdoor spaces and facilities that offer opportunities for recreation of all kinds, from mild strolls to more active adventures. There are parks large and small, where you can enjoy time with your kids, your dog, or yourself. Wander among beautiful trees and flowers in the city's public gardens and pick up tips for your own landscaping efforts. Walkers, runners, and bikers will like exploring Eugene's several well-maintained recreation trails. A major presence in the Eugene community, the University of Oregon campus is located just southeast of downtown. Walk through the lovely campus and stop at the UO Duck Store, the student union building, or one of the museums on campus. The Jordan Schnitzer Museum of Art has a well-established collection of Asian and Pacific Northwest art, but you can also view Russian icons, photography, and contemporary art. Also check out ​The Museum of Natural and Cultural History, where you'll find exhibits that focus on the natural history and culture of Oregon and the Pacific Northwest. Northwest Native history and culture and regional geology and ecology are covered in the permanent exhibits at this family-friendly museum. A crown jewel of Eugene's downtown, the Hult Center for the Performing Arts contains a variety of performance, meeting, and exhibition spaces. The Silva Concert Hall hosts music and dance performances by visiting artists as well as local performers. It is also the venue for the annual "Broadway in Eugene" series of popular musicals. The Soreng Theater is a smaller venue for more intimate ballets and concerts. The artistic organizations that call the Hult Center for the Performing Arts home include the Eugene Opera, Eugene Symphony, Oregon Bach Festival, Eugene Ballet Company, and the Eugene Concert Choir. Eugene hosts a few unique festivals and events throughout the year. Don't miss the annual truffle festival, held each year in late January. At 2018's event, there were seven truffle hunting excursions with 63 truffle dogs, resulting in more than 100 pounds of Oregon truffles, all prepared by some of the Pacific Northwest's best chefs. If you're visiting in late May, you can attend the Prefontaine Classic, where track and field superstars square off at the historic Hayward Field. From pioneer-era wagons and equipment to colorful counterculture signs and artifacts, the Lane County Historical Museum does an excellent job of presenting and interpreting the people and events that shaped Eugene and the surrounding communities. Long-running exhibitions include historical vehicles (including a 1908 Model T Ford) and a re-creation of a 20th-century blacksmith's forge. Both a nature education center and a wildlife hospital, Eugene's Cascades Raptor Center gives you an inside view of the region's birds of prey. Take in an expert talk from the wildlife handlers or sign up for in-depth educational programs. The resident birds you might see during your visit include a snowy owl, a great gray owl, a bald eagle, an osprey, a red-tailed hawk, and a peregrine falcon. Sports fans will find plenty of games, meets, competitions, and races to watch throughout the year in Eugene, especially if they're rooting for the University of Oregon Ducks. Part of the competitive Pac-12 conference, the men's and women's teams at UO excel in many sports, dominating in football, cross country, and track and field. Venues for University of Oregon home games include Autzen Stadium, Matt Arena, and Hayward Field. Aviation buffs and budding engineers might like to get a look at the aircraft, artifacts, and interpretive displays at the modest but still interesting Oregon Air and Space Museum. Planes on exhibit include fighters and bombers from World War I, the Vietnam War, and the Persian Gulf War. Other exhibits focus on space exploration, flight suits, and aircraft engines. Eugene is a surprisingly fun shopping destination, especially around its downtown district. Visit the Fifth Street Public Market, a relatively new shopping venue that features artisanal foods, local wines, and unique home and gift items, all nestled together among patios and public spaces, or check out the Eugene Saturday Market, which runs April through mid-November. At this market, you'll find live entertainment, a food court, and handcrafted goods. The Saturday Lane County Farmers Market takes place adjacent to this market, at Eighth Avenue and Oak Street.